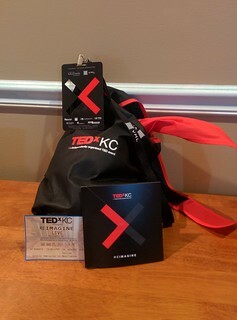 Looking back over the year, one of the highlights was TEDxKC. 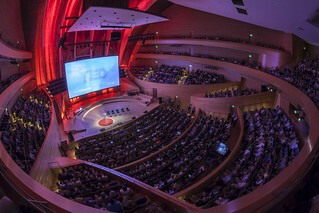 In its seventh year, Kansas City's TEDx is the largest in the country. It lived up to the hype. 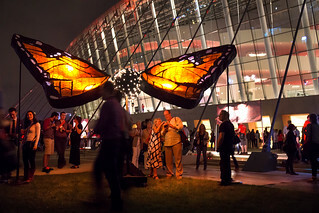 The Kauffman Center is a great venue, we went with some good friends, and the program was excellent. Tommy Caldwell - What are you up against? Both of them conveyed extremes of the human condition, but Pistorius was simply spell-binding. The Yawpers jam was mindless fun. The Kauffman Center is a naturally high-brow scene, so when the front man opened with "I'm gonna play some really stupid rock 'n roll for you," and the drummer started banging away, it was good to get outside your head and roll with it. Speaking of fun, at one of the booths, I got my own google cardboard viewer, courtesy of Southwest Airlines. Scott Hamilton was a name and a face we all knew from Olympic skating, but he was there to talk about Surviving the cancer cure. He was promoting proton therapy, an alternative that the insurance companies seem to be resisting without good cause, given the falling costs and the quality of outcomes. Currently there are 14 operating proton therapy centers throughout the U.S. with another 10 under construction. The news that there's also a proton therapy center slated for Kansas City got a big round of applause. The local challenge winner was Audrey Odom - Fighting drug resistant infections with your breath. The increasing resistance to antibiotics is pretty serious stuff, so her simple diagnostic tool looks pretty important. And after all that, there's an after-party on the lawn, and all the speakers join in. Next time, we'll know to plan to stay for more than just a few minutes of that! 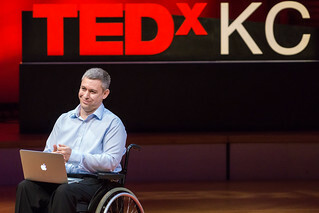 Dan Connolly — 2015-12-17 — Permalink — License.